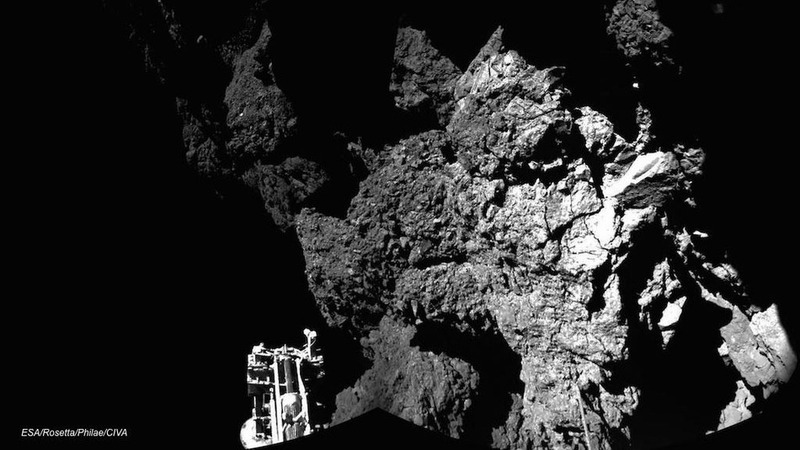 Europe’s Philae lander is doing well and has succeeded in planting a thermometer in the comet where it touched down this week, the European Space Agency said Friday. Scientists have received a steady stream of data from the lander, which on Wednesday became the first spacecraft to touch down on a comet and has since sent its first images from the surface of the body, known as 67P/Churyumov-Gerasimenko. However, their job is complicated by the fact that Philae landed next to a cliff that is blocking sunlight from its solar panels. The lander’s primary battery only has power for another day or so and mission controllers are contemplating how they might realign it so that the solar panels can charge the craft.